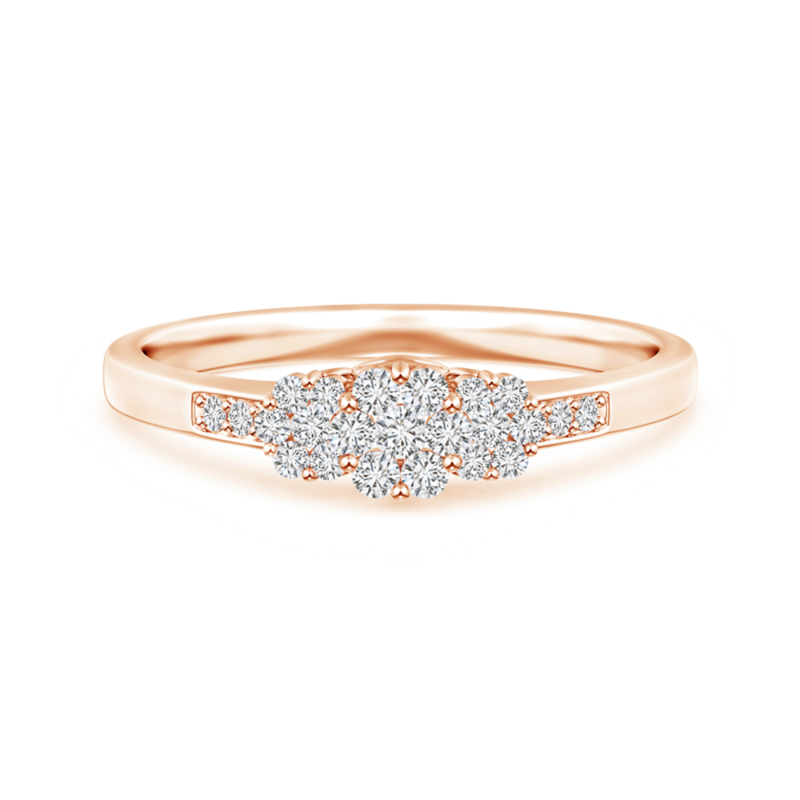 Mark your commitment with this lab grown diamond ring in 14k gold. Artistically detailed to form a triple flower pattern, this ring is a quintessential example of feminine charm. The additional diamond accents on the shank enhance the sparkle of the ring.